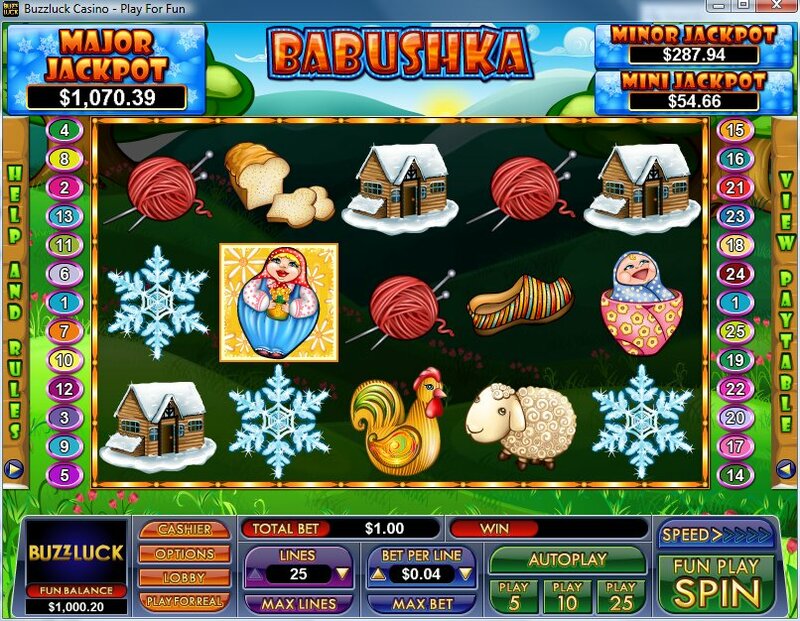 Overview: Get ready for some bouncing fun when Matryoshka dolls start popping out all over the reels in this energetic Babushka themed slot. 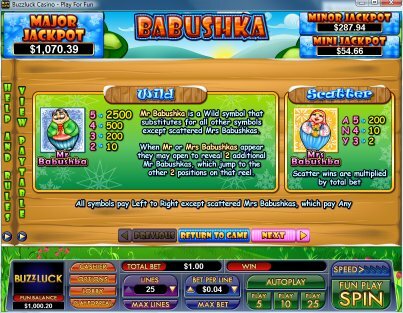 2 free games are awarded for each Mr or Mrs Babushka symbol appearing anywhere on the free games feature triggering spin! 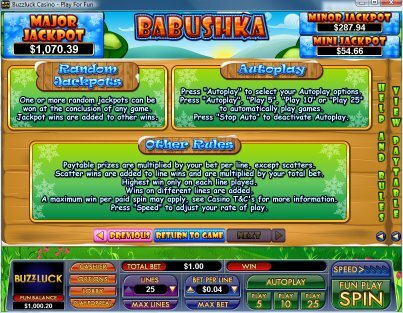 Prizes during free games are doubled if 4 scatters triggered the feature, and tripled if 5 scatters appear! 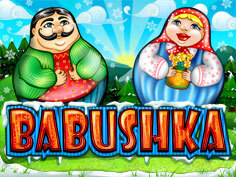 In addition, all Mr and Mrs Babushka symbols appearing during free games open to reveal extra Mr Babushka Wilds from inside, potentially revealing a screen filled with jolly, jumping dolls and equally exciting wins! 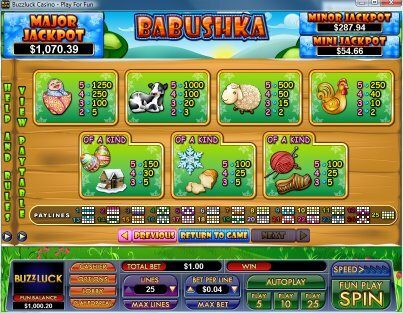 Similar Slots: If you like Babushka, you might like these other slot machines from NuWorks: Big Rig, Birdy Bucks, Crystal Ball, Eye of Ra, Greek Goddess, Silk Caravan.